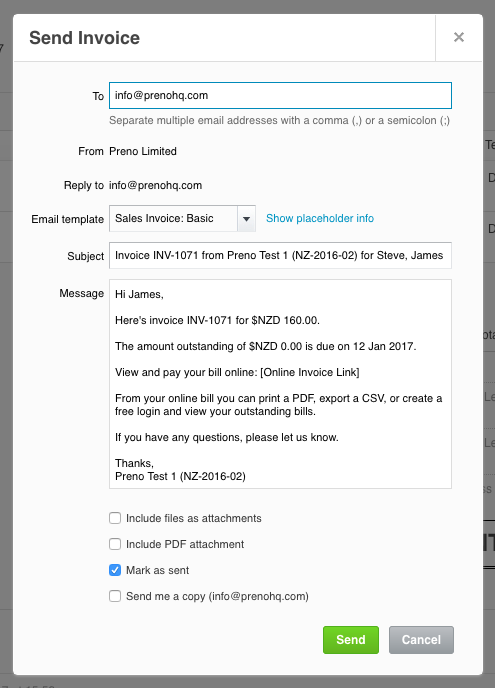 Preno will automatically link the invoice to an existing contact in Xero if you have already invoiced that guest before. 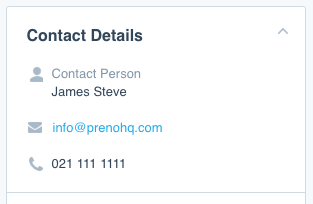 If the contact does not exist in Xero already, Preno will create a contact for that reservation using the primary guest’s profile. This is their full name, email address and phone number. The guest's mailing address is not sent through to Xero. With the email address being sent across to Xero, this means that you can use the Email function in Xero to send a tax invoice to the guest.